University of Colorado at Colorado Springs police officer Garrett Swasey. The attack on a Colorado Springs Planned Parenthood clinic last Friday left three people dead, including one police officer, a devoted mother of two and an Iraq war veteran. Nine others were injured. The five-hour standoff between a lone gunman armed with an AK-47-style assault rifle and police comes after an anti-abortion group released controversial videos of Planned Parenthood employees earlier this year. The anti-abortion group, the Center for Medical Progress, has denounced the attack, according to a statement from the organization's head, David Daleidan. Other anti-abortion groups such as Focus on the Family and the National Right to Life Committee, have spoken out against the attack as well. Although authorities are still investigating the gunman's motives, the attack has fueled the national debate over abortion and gun control. 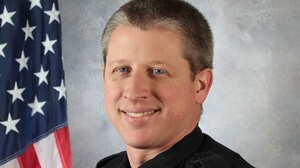 Garrett Swasey, 44, was a six-year veteran of the campus police at the University of Colorado at Colorado Springs. He was married with two young children, a son and a daughter. Swasey was a competitive figure skater, and a pastor at a local church before starting his career as a cop. His widow released a statement saying in part: "While the nation knows Garrett as a hero who gave his life for others, he was also a devoted husband of 17 years, and a wonderful father to his two children. His greatest joys were his family, his church, and his profession. We will cherish his memory, especially those times he spent tossing the football to his son and snuggling with his daughter on the couch." Jennifer Markovsky, 35, a married mother of a young son and daughter, went to the clinic that day to support a friend when she was killed. Markovsky's father told the Denver Post that she was always the "most lovable person...so kind hearted, just always there when I needed her." A stay-at-home mom, Markovsky's Facebook page is full of pictures of hiking with her children, her thoughts on parenting and expressions of love for her husband. Ke'Arre Stewart, 29, was an Army veteran who served in the Iraq war. According to his brother, Stewart was shot when he stepped outside the clinic to take a phone call and ran back inside to warn others. He was a father of two girls, a DJ and an entrepreneur. The man authorities believe is responsible for the siege, 57-year-old, Robert Lewis Dear, was taken into custody after a five-hour standoff with law enforcement. Although many questions into his motives, extremist group affiliations or possible help from other people are still mostly unanswered, initial reports indicate his actions could have been politically motivated. According to the Associated Press, law enforcement officials said Dear made a comment about "no more baby parts" in a rambling interview after his arrest, though no official motive has been determined. Interviews with neighbors and acquaintances of Dear's indicate that he was "the kind of person you had to watch out for," "unremarkable" and a loner who kept to himself. A former neighbor, John Hood, told NBC News that Dear had talked about putting a metal roof on his house so the government couldn't spy on him. His ex-wife of about 12 years remembers Dear as someone who could get angry and physically aggressive, but would always follow up with an apology. He was a “big man, well-groomed, gentle and pleasant, but not much for chit-chat,” the New York Times reports. The two divorced in 2000 and have a 25-year-old son. Dear lived in North and South Carolina before moving to Colorado last year. He lived in a trailer on a five-acre plot of land in Harstel, which is 40 miles west of Colorado Springs. This is the home Robert Lewis Dear shared with an unidentified woman in Hartsel, Colorado. Click here for pictures of Dear's mustard yellow shack in Black Mountain, North Carolina. Dear is scheduled to appear in court today in Colorado Springs.